Written by Afsheen Sharifzadeh, a graduate of Tufts University focusing on Iran and the Caucasus. This narrative stems from a brief trip to Larestan, Iran during the Persian New Year (late March-early April) of 2014. 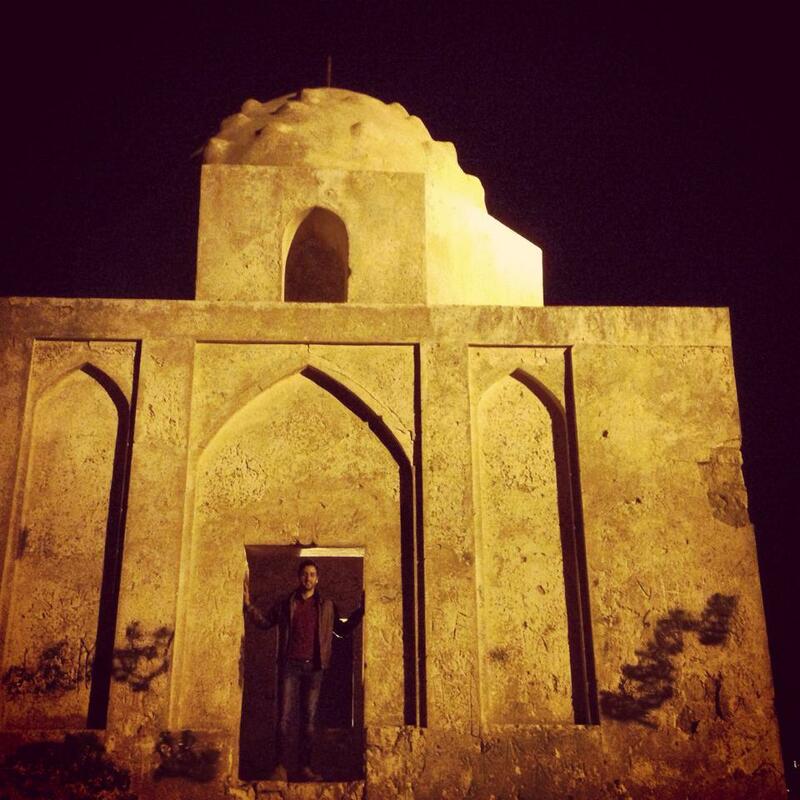 The author at Borj-e Nane-ye Nader Shah in Lar, Iran 2014. My father is from Larestan, a non-Persian-speaking, hybrid Sunni-Shi’a pocket tucked away in the southeastern-most portion of Fars province in Iran, just inland from the Persian Gulf. There in the embraces of rolling foothills dotted with chamomile shrubs and tamarisk trees he passed his childhood and adolescence, before moving to Shiraz to attend what was then the royal Pahlavi University; the premier university of early modern Iran. Today, Lar proper is a bustling regional center of over 50,000 souls, replete with luxury apartments, its own international airport, a multi-purpose sports stadium, foreign language schools and gated orchard communities. But his memories of Lar—which happens to be located atop the seismic fault lines of two tectonic plates—are as bitter as they are sweet. On April 24, 1960, a devastating earthquake struck Lar, reducing a large part of the historic mudbrick and timber town to rubble, and killing about 3,500 of its inhabitants (about a fourth of its population at the time). Following this tragedy, Lar’s inhabitants set out to construct a new settlement under government funding slighty north of the ruins, which they called Lār-e Jadīd or “New Lar”, while Lār-e Ghadīm “Old Lar” remained in a state of ruin but was gradually rebuilt and resettled by migrant workers from surrounding villages over the decades. As of 2014 and as per my personal observation, the two settlements are contiguous with each other. Ruins at Lār-e Ghadim, or “Old Lar” (2014). 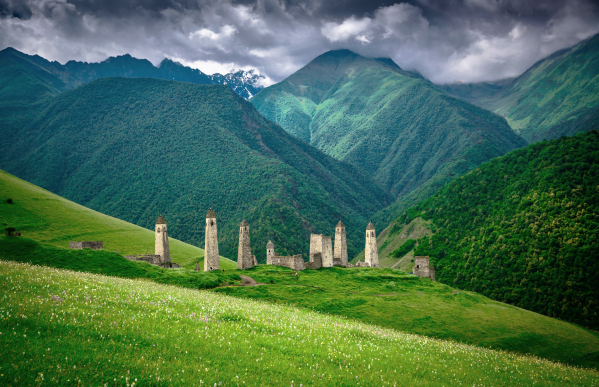 An earthquake in 1960 reduced the historic town to rubble. My father’s immediate family was dispersed for days following the 1960 earthquake, and it took countless hours of pursuit to retrieve all 14 of his siblings. For a time following 1960, informants report that Lar was reduced to a pile of rocks inhabited by a dwindling population living in abject misery. Some informants report having eaten locusts in the summertime. The tragedy left an imprint on his childhood and spawned within him a yearning for migration and higher education, first on the well-trodden path to Shiraz and finally to the United States. This article is a compilation of my observations from a brief journey through Lar, focusing on peculiarities in the culture and history of the region and Lari, the language of my father’s boyhood. Larestan (marked in red) consists of a series of settlements, the largest of which is Lar. Lar was probably originally a Jewish settlement, and one thing we know for certain is that it boasted a prosperous Jewish community as early as the 16th century. The French traveler Jean-Baptiste Thevenot reports that most of the inhabitants of Lar were Jewish silk farmers when he visited Larestan in 1687, and a Spaniard who visited the town earlier in 1607 met there a “messenger from Zion” named Judah. But along with other Persian Jewish communities (excluding the Georgian Jewish deportees employed as silk worm farmers in Māzanderān), the Jews of Lar suffered at the hands of the Safavid rulers during the 17th and early 18th centuries; indeed the pogroms and mass conversions are described by the Judeo-Persian chronicler Babai ibn Luṭf. According to him, the persecutions throughout Persia during the reign of Shah Abbas I began some time before 1613 and originated in the city of Lar, whose rabbi had converted to Islam and took the name Abul-Hasan Lari. This renegade Lari rabbi obtained a royal edict whereby every Jew in Persia was required to wear a discriminatory badge and headgear. 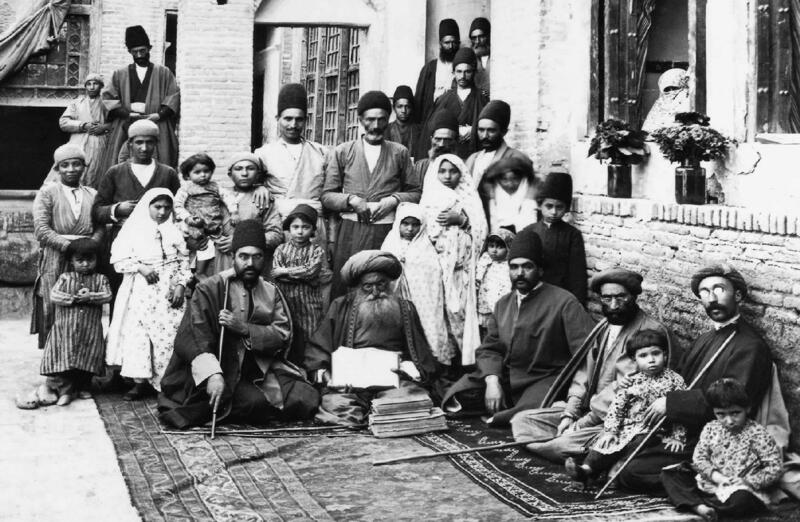 This in turn culminated in the abrupt expulsion of hundreds of Jews from the capital city, Isfahan, on account of their conspicuously newfound “impurity”. Lar was nonetheless historically a center of Judeo-Persian literary activity, and among the notable scribes and translators was Judah of Lar in early 16th century. A Florentine traveler, Giambattista Vecchietti (1552–1619), even collected ancient Judeo-Persian manuscripts from Lar and brought them back to Europe. We know that there existed a Jewish community in Lar through the beginning of the 20th century, and according to BM (1907, p. 51) there were 70 Jews living there in 1907. They were soon thereafter expelled from the city and walked all the way to the northern city of Jahrom and eventually settled in Shiraz and thence Palestine. Regrettaby, there remain no traces of their synagogues or other socio-cultural spaces within Lar proper. One issue that proves problematic in attempting to ascirbe a Jewish pedigree to the modern inhabitants of Larestan is that contrary to Judeo-Iranian languages like Judeo-Shirazi, Bukhori or Judeo-Tat, modern Larestani languages lack any vestige of Hebrew lexicon or phraseology. In my opinion, this indicates that modern Lari-speakers are by-and-large genetically unrelated to the expelled Jews, whose vernacular was most likely a dialect of Judeo-Persian rather than Larestani, at least based on their literary productions. Perhaps modern Laris were originally a semi-nomadic Sunni pastoralist group who migrated into Larestan from the gulf or the Lur- and Kurdish-dominated highlands to the northwest and gradually displaced the Jews over the course of a few centuries (see discussion below). It is also conceivable that some Jews converted to Islam and became “Larified” in their language and identity following a hypothetical trajectory of Lari-speaking transhumance into the region. Despite the absence of any material or linguistic evidence of a Jewish past within Lar proper, the non-Muslim heritage of Larestan remains at least nominally operative in the ethnic consciousness of modern Larestanis. One Lari informant mistakenly identified the region’s original inhabitants as Armenians (Christians)—indicating that a general awareness of Lar’s non-Muslim past remains ingrained in the social memory of the people, regardless of academic familiarity with the subject or linguistic competence in a Larestani language. Because of its location on the caravan route connecting southern Iran to the Persian Gulf ports, Larestan has traditionally held an opportune position for trade with Arabic-speaking territories across the Persian Gulf. But throughout the medieval period Larestan was nearly always an obscure region, never becoming involved in the politics and conflicts of mainstream Persia. Most of the settlements within Larestan including Khür, Khonj, Gerash, Fishvar, Evaz, and Bastak are Sunni Muslim (ahl-e tasannon), except for the city of Lar itself, which like the rest of Iran is majority Shi’a (ahl-e tashayyo’). The Sunni inhabitants of Larestan maintain particularly close cultural and economic ties with their coreligionists across the Persian Gulf, and can be seen sporting conspicuously Qatari- and Emirati-style hijabs and garments in the central bazar of Lar proper. One entrepreneurial family has even opened a shawarma restaurant in Khür that has recently blossomed into a gathering place for eager patrons hailing from far and wide in the region. 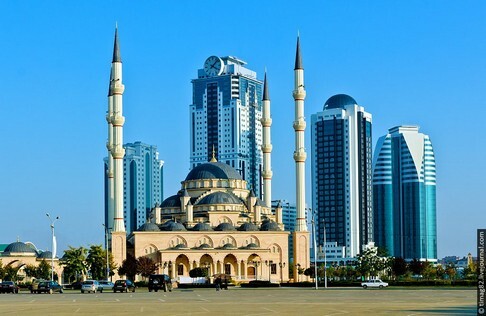 As such, Gulf Arab fashions and tastes are flourishing in Lar, and there is a high degree of Arabic language proficiency. The interior of an Emamzadeh in Lar, Iran (2014). 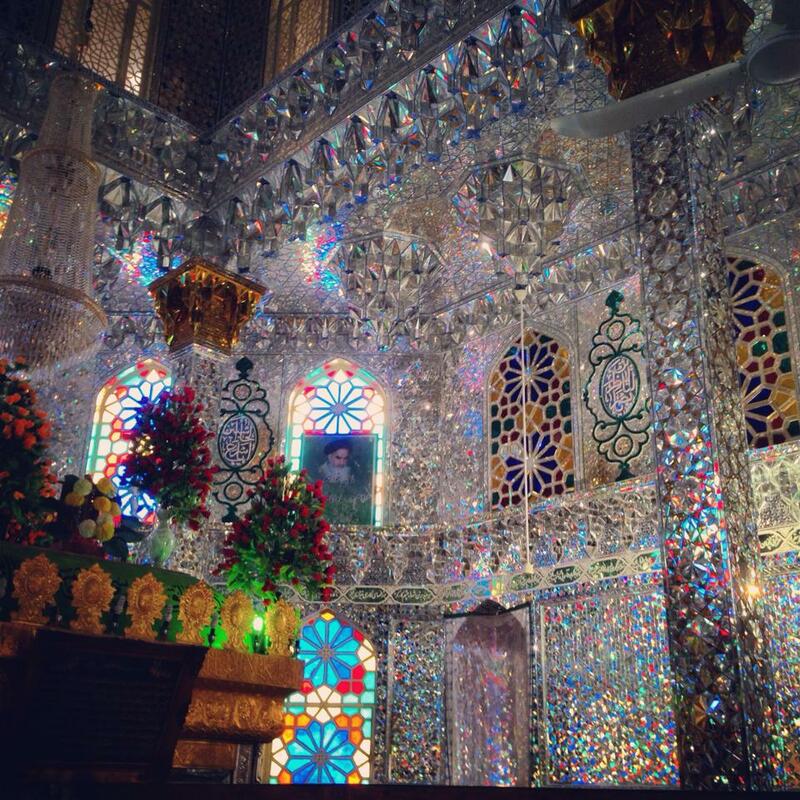 Mirrorwork is a common feature of Iranian Islamic architecture. Within my own extended family, Arabic proficiency is pervasive. Two uncles worked their careers in Kuwait and Abu Dhabi, and in particular are familiar with Iraqi and Gulf folk songs, including Meyhāna and Bayn el-’asr wel Maghreb. 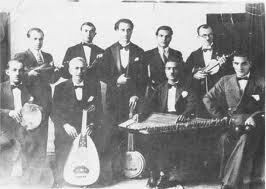 The performance of these songs together with my uncles, often accompanied by a tombak, served as a common form of entertainment at family gatherings. Lari families have historically transplanted to Kuwait, Bahrain, Qatar, and the UAE– where they are known collectively in Arabic as ‘ajāyem (sing. ‘ajami). Laris have inhabited these countries for generations, usually maintaining their language and cuisine. Dubai’s oldest quarter, known as Al Bastakiya, is namesake to the well-to-do textile and pearl traders from Bastak, Larestan who settled and developed the area. My oown family has relatives in Bahrain as well as a large branch situated in Qatar, descended from an aunt who married a Qatari sheikh and bore him eight children about half a century ago. Al-Bastakiya is Dubai’s most historic quarter. Established at the end of the 19th century by well-to-do textile and pearl traders from Bastak, Larestan, its labyrinthine lanes are lined with restored merchant’s houses, art galleries, cafés, and boutique hotels. Pictured here are two prominent bādgirs, or “windcatchers”– a quintessentially Iranian architectural form encountered in Lari colonies throughout the Persian Gulf region. Men from Lar have a long history as merchants engaged in Indian Ocean sea trade and in local overland trading between the Persian Gulf and inland Iran. Laris assumed a new role in the trade of the Persian Gulf region with the beginning of oil production in Kuwait and other small states after World War II. At that time, Lari men like my uncles began migrating to Kuwait to open small shops that catered to the huge influx of migrants working in the oil industry and in construction. Typically, Lari men left their families and worked in Kuwait for periods of 18 months to several years before returning home for six month visits. In contrast to the educated migrants from Egypt and Palestine who staffed the Kuwaiti bureaucracy, and the uneducated migrants from Arab countries, Pakistan and Asia who worked as unskilled laborers, almost all Laris were engaged in retail trade. Typically a man would start out in business with a small shop in partnership with another man, often a relative. The stores ranged from green groceries to import shops. Remittances also raised the standard of living for most Lar families allowing them to buy a variety of consumer goods. In fact, the smuggling of such articles as Japanese TV sets, wrist watches and tape recorders was a lucrative side business for many migrants. Following the betterment of the economic situation in Iran in the 80’s, the tradition of Lari labor export to Kuwait declined significantly and finally ended. Today, Laris look closer across the Gulf–to the Emirates and Qatar, for exporting labor and investments. “where are you going?” ako achedoish? akwe dachi? kojā dāri miravi? Larestani and Kurdish have together retained a number of phonemic archaisms from the Middle Iranian stage that have disappeared in modern Persian. For example, Lari and Kurdish have a rounded front vowel at the beginning of the word “we” (Lari: amā, Kurdish: emā), while modern Persian has mā. Rounded long vowels –ō, –ē from Middle Iranian are preserved in Larestani (Lari: gōsh vs. Persian: gūsh “ear”) and Kurdish (Kurdish: rōj, Lari: rōz, Persian: rūz “day”) except for in modern Persian borrowings, which are assimilated (Lari güshi “telephone”). Lexical archaisms are numerous and include Lari gapü “big” and got (from Proto-Indo-European *gʰrewd-, *gʰer-, cognate to English great, Latin grandis, Albanian ngre), whereas Old Persian adopted a Median word, now pronounced bozorg (from Proto-Indo-European*weǵ- Old English: wacan, wacian; English: wake. Originally meaning “endowed with generative power”, from Old Persian vazra- via palatilization and sibiliation, already literary Old Persian vazarka, Middle Persian wuzurg). Larestani and Kurdish both share a postposed directional complement à “to”, and in Larestani a derivative o- is used to express general possession, “to have”, when complemented with a pronomial enclitic (note immediate possession in Larestani parallel to Arabic is expressed using pronomial clitic + bā; i.e. ma qalam omnebā “I don’t have a pen [with me right now]”). Kurdish uses a possessive pronoun + haya/niya. Larestani: chedem à madrasa, Sorani Kurdish: chūm à madrasa “I went to school”. Persian does not use a directional complement. The dative construction takes two forms in Larestani: one is the postponed directional complement attached to both nouns and pronouns discussed above (Larestani: à ma = “to me’), and the second is a more conservative dative construction that takes the form of a postpositional suffix -va attached to the pronoun it modifies. 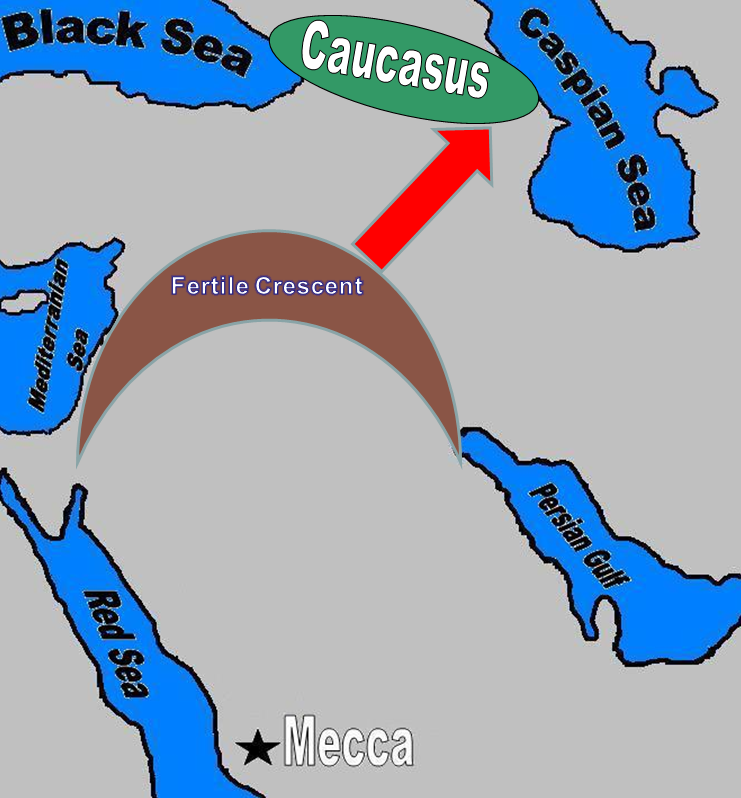 The latter is highly unusual in the southwestern Iranian group, which includes Persian, although postpositions are found in Caspian languages. 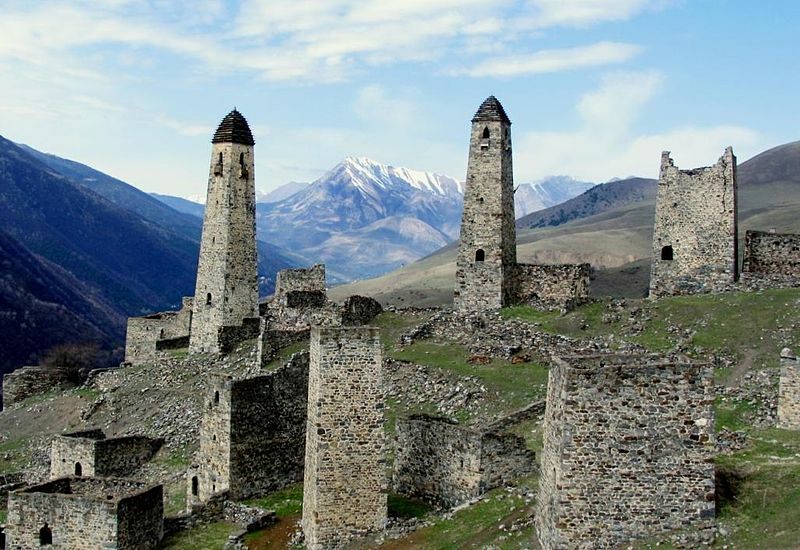 The construction is notably parallel to Oghuz Turkic –(y)a/-(y)e, and is encountered elsewhere in northern Tajik Persian dialects, where it developed under the influence of eastern Turkic (Tajik -ba > Uzbek -ga “to”). Perhaps Larestani obtained this exclusively pronomial dative construction from the neighboring Qashqai Turkic, but there is no evidence of widespread bilingualism or substrate as in the case of northern Tajik to explain an eccentric morphological innovation of this kind. Instead, it is likely a vestige of the Middle Iranian stage, inasmuch as a multitude of shared features between Larestani and peripheral Iranian languages are the likely heirlooms of an ancestral dialect continuum that connected genetically distant cousins (for example, lexical and morphological parallels between Larestani and Talyshi). In Kurdish, the simple past tense of transitive verbs is formed from the past stem of the verb and an agent affix—the ergative construction. Modern Larestani languages, alongside Kurdish, display split-ergativity; ergativity is present both according to the Kurdish paradigm, as well as erratically in transitive and intransitive verbs in both the preterite and perfective aspects (e.g. omgot “I said”, otnāshā “You cannot”; but khatem “I slept“, nāfamësh “You do not understand”). The former two constructions have intransitive ergative character, but the latter two illustrate the fact that Larestani also features nominative/accusative morphology. Ergativity is thus more pervasive in Larestani than Kurdish, but only incongruously so. Persian is a non-ergative language. Kabāb Kenje-ye Lāri, a traditional dish consisting of lamb soaked in yogurt, herbs and shallots for several days, skewered and cooked over an open flame. Here it is served with traditional taptapü bread and fresh Persian basil. Photo taken at the author’s family orchard outside of Lar, 2014. No two people speak the same language exactly alike. As such, languages can evolve insularly among speakers of the same language in the general absence of external pressures (for example, Icelandic). But language change is not random—it flows in the direction of accents and phrases admired and emulated by large numbers of people. Once a target accent is selected, the structure of the sound changes that move a speaker away from his or her own mode of speech is governed by rules. Sound changes follow unspoken and unconscious rules – the sound changes are not idiosyncratic or confined to certain words; rather, they spread systematically to all similar sounds in the language. Lari is not an exception to this rule. As an oral language, Lari literature is scant and limited exclusively to poetry. Without a standardized, pervasive literary form or a compendium of Lari literature, the language is volatile to assimilative pressures. The various dialects are considerably different from each other and seem to be distinguished primally upon village and secondarily upon Sunni-Shi’a sect affiliation. The language of school education is Persian, and all educated Larestanis speak Persian as their second language. Persian has also become the language of interethnic communication, particularly between Laris and the Turkic Qashqai element in Larestan. Many Larestanis with ties to the Gulf (mainly Sunnis from Khür, Gerash, Bastak, and Evaz) speak Arabic as a second or third language, but historically Arabic was a language of commerce and trade in the region. As such, the Shi’a Lari dialect has been Persianized in its lexicon and phonology and the Sunni dialects have been Arabicized—processes that have accelerated in the past several decades and may ultimately lead to endangerment. I will only deal with lexical assimilation with Persian, as phonological assimilation is outside the scope of this article. Of note, I was surprised to behold an episode of lexical transformation between my father and his siblings. My father, having left Larestan over 40 years ago, speaks a vernacular true to the spoken language of that era, while those who have remained within Larestan have been subjected to assimilation pressures as a result of improved school education and communications with the rest of Iran, as well as increased migrant traffic in both directions. As such, my father’s vernacular features lexical archaisms that have since been rendered obsolete in favor of Persian borrowings in the current Lari vernacular. The future of Lari seems bleak, as generation Y has effectively ceased to employ Lari, even as a mode of family communication. As such, Lari is to be classified as unstable, for the sphere of its use is steadily diminishing. Socio-cultural stigmatization of Larestan by inhabitants of Iran’s major urban centers compounded by new and improved contacts with the rest of Iran via Persian language television and radio broadcast have inspired generation Y to emulate Tehrani Persian speech, even in response to their parents speaking in Lari. Moreover, knowledge of and proficiency in Persian is associated with upward social mobility, which in turn has influenced the older generations to incorporate Persian words and phrases into their speech. Of note, one can hear the Persianized khūbësh? instead of Lari khashësh? (“Are you well?”)– a form that had no currency fifty years ago but is now canonical if not preferred. Anthony, David W. “The Horse, The Wheel and Language: How Bronze-Age Riders from the Eurasian Steppes Shaped the Modern World.” Princeton Review Press: 2007. Bonine, Michael E.; Nikki R. Keddi. Modern Iranian Dialectics. Fischel, Walter Joseph; Netzer, Amnon. “Lar.” Encyclopaedia Judaica. 2008 The Gale Group. All Rights Reserved. Loeb, Laurence D. Outcaste (RLE Iran D): Jewish Life in Southern Iran. McIntire, Emily Wells. “From Lar to Kuwait.” The Search for Work. Cultural Survival Inc., issue 7.4 (Winter 1983). Written by Afsheen Sharifzadeh, a graduate of Tufts University focusing on Iran and the Caucasus. This brief survey of Muslim Baghdadi Arabic is intended for intermediate and advanced students of Modern Standard Arabic (MSA) who seek a linguistic introduction to the Baghdadi dialect by comparison to MSA and Mashriqī dialects. Arabic dialect families. Dark green denotes Mesopotamian Arabic and yellow denotes North Mesopotamian Arabic. 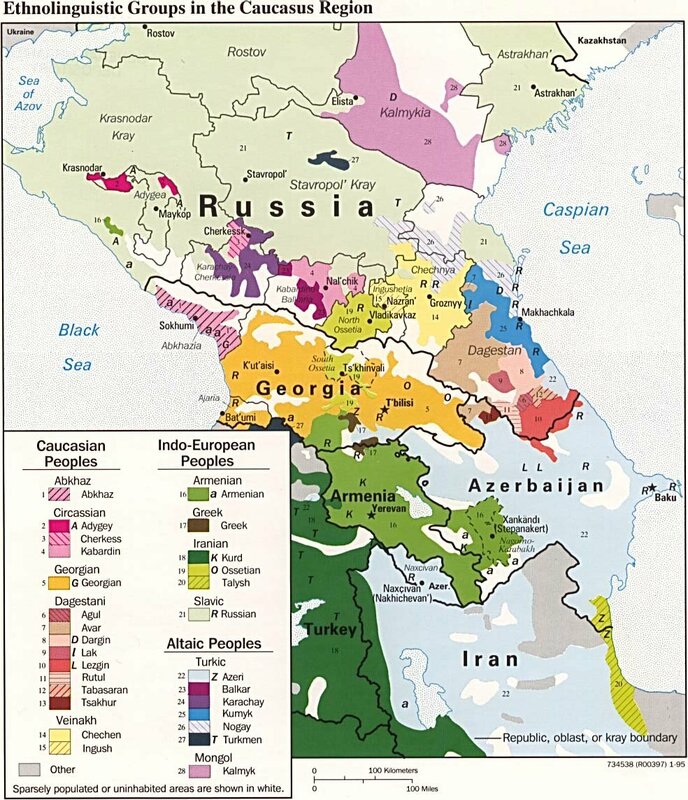 Note Mesopotamian Arabic dialects are also spoken in a few pockets in eastern Iran (Khorasan) and Central Asia (Uzbekistan and Tajikistan). 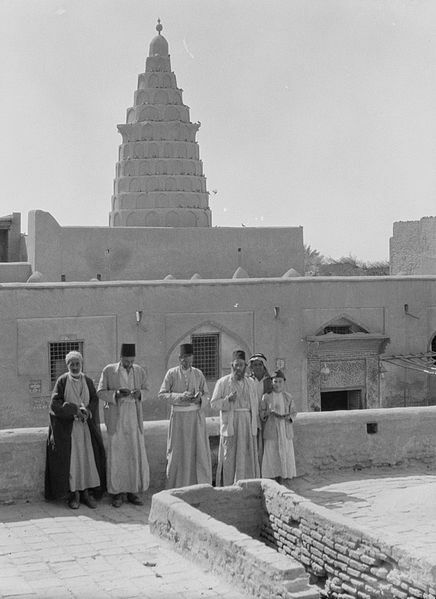 The colloquial Arabic varieties of Iraq belong to two main dialect groups: Mesopotamian Arabic also known as the gilit-group (Baghdad, Basra, Central Asian Arabic, Khuzestani and Khorasani Arabic in Iran), and North Mesopotamian Arabic or the qeltu–group (spoken in Mosul, eastern Syria, and by Jewish and Christian Iraqis and Anatolian Arabs). In linguistics, the gilit-qeltu paradigm is based on the different phonological systems characterizing the two dialect groups, which can be observed in the form of the word “I said”—Baghdad: gilit; Mosul: qeltu. Muslim Baghdadi Arabic, belonging to the gilit-group, is the prestige dialect of the country. In this article, the term “Muslim” is used to distinguish the dialect from Jewish Baghdadi Arabic, a qeltu-group dialect that was spoken by almost one-third of Baghdad’s inhabitants until 1948, and is currently only spoken in Israel and abroad where it faces imminent extinction among the diaspora. Iraq is also home to a number of other languages, including Kurdish languages (Sorani, Kurmanji or Bahdini, Gorani, Zazaki), Neo-Aramaic and Neo-Mandaic, Turkoman (South Azeri), Armenian, and Persian. Muslim Baghdadi Arabic is a dialect of Bedouin provenance that features several unique phonetic, lexical, and morphological paradigms vis-à-vis the surrounding Mashriqī sedentary dialects, and is layered with influences from urban Medieval Baghdadi Arabic and foreign languages such as Turkish, Persian, Kurdish, and Aramaic. 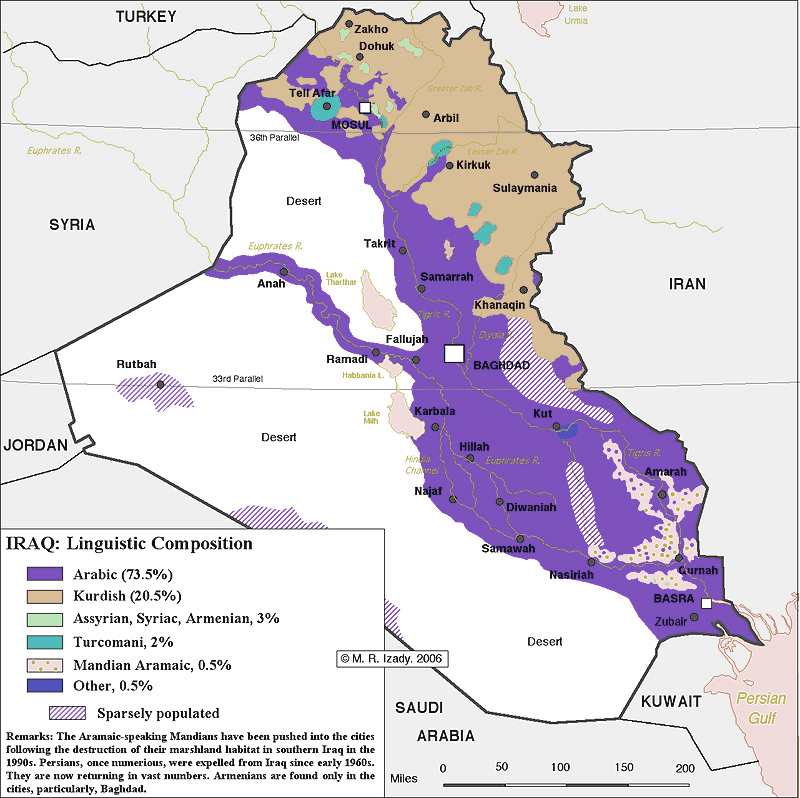 This dialect, which belongs to the so-called gilit-group, should not be confused with the Iraqi dialects of the qeltu-group (Jewish Baghdadi Arabic, Christian Baghdadi Arabic, and North Mesopotamian Arabic), all of which seem to be direct descendants of Medieval Baghdadi Arabic—a sedentary medieval dialect. The qeltu-group dialects have different sound systems and morphologies from Muslim Baghdadi and also seem to have retained a greater volume of foreign loanwords that have been more vigorously uprooted from the Muslim dialect under the Ba’ath regime. “How are you (f.)?” Kayfa Hāluki? Ashlōnki? Shlōnich? Kīfik? Izzáyik? 1.) Qāf ق is pronounced differently depending on the word. Sometimes this may seem arbitrary, but there is historical and phonemic rationalization for it. For example, in words that denote higher or abstract concepts, the Classical pronunciation of the qāf has been retained, such as the in the words حقيقةHaqīqa “truth”, مستقبل mustaqbil“future”, and اقتصاد IqtiSād “economy”. The archaic uvular pronunciation of qaaf is also retained in borrowings from Medieval Baghdadi Arabic: دقيقة daqīqa “minute, moment”, قرأ qira “he read”. 2.) In general in quotidian/mundane words of Arabic origin, there is a Bedouinization of the qāf from “q” –> “g”. For example, “I say” اقول is pronounced agūl, “I arose/began” قمت is pronounced gumit, “heart” قلب is pronounced gaLub (the “L” is emphatic), and “moon” قمر is pronounced gumar. There is also a tendency to retain the “g” phoneme in loanwords and in some instances to evolve in favor of it (i.e. khāshūga“spoon”, from Persian قاشق qāshogh). However as mentioned above, lexical borrowings from Medieval Baghdadi Arabic regardless of usage retain the Classical uvular pronunciation of qāf. 3.) In some very specific instances, the classical qāf sound is realized as “k” (q–>k). This phenomenon is observed in only a handful of words and seems to be rooted in voiced/unvoiced consonant agreement. For example, the word “time” وقت can be pronounced wakit or alternatively waqit. However, in the fixed word شوكت shwakit(“when”), only the former form is used. We also see this sound change in the 3rd person simple past of the verb “to kill” قتل, which can be heard as kital. These pronunciations are by and large not interchangeable, and in fact switching between the “q” and “g” phonemes can result in change of meaning (i.e. farraq “to divide” and farrag“to distribute”; warga “leaf” and warqa “piece of paper”). Thus the pronunciation of qaaf depends on the word. Also as a note, the Levantine and Egyptian pronunciation of qāfق as hamza ء is not found in any Mesopotamian dialects. The letter Dādض is always pronounced as Dhā’ظ, and Dhā’ is in turn pronounced as its classical voiced alveolar fricative pronunciation (as in Modern Standard Arabic). Iraqi Assyrian singer Daly performs song in different languages and dialects of Iraq in this order: Muslim Baghdadi Arabic, Kurmanji (Bahdini) Kurdish, Assyrian Neo-Aramaic, Muslim Baghdadi Arabic, Muslim Baghdadi Arabic, Basrawi Arabic, Basrawi Arabic. Muslim Baghdadi Arabic is by no means a creole language, despite its lexical and grammatical distinctions. In fact these differences are not nearly as anomolous as features of other dialects in the Mesopotamian and North Mesopotamian groups, such as Anatolian Arabic and Khorasani Arabic. The core vocabulary of Muslim Baghdadi Arabic derives from Classical Arabic, Medieval Baghdadi Arabic, and Bedouin dialects. For a comparison of Muslim Baghdadi lexicon with other Mashriqī dialects, see Figure 1 above. There are, however, many loanwords from peripheral languages and other areal features that have made their way into common speech via foreign hegemony, historic trade relations, bilingualism and direct contact between groups living in Baghdad. Many loanwords have become obsolete or consciously uprooted from the language, particularly within the last century. RT Arabic interview (part 1) with Tamara al-Daghestani, speaking in Muslim Baghdadi Arabic, while the interviewer speaks in Standard Arabic. Tamara’s family descends from warriors who were brought to Iraq from Daghestan in modern-day Russia. 1.) The present progressive tense is formed by adding the prefix da- to the conjugated stem of the verb. This is likely a borrowing and adaptation from Persian into the early Abbasid-era Baghdadi vernacular. For example, “I am listening” is pronounced Ani da-asmaʕ, and “I am laughing” is Ani da-adhHak. 2.) The particle of existence as in “there is/there are” is akū and “there is not/there are not” is mākū. The origin of this word is believed to be from the southeastern Babylonian Aramaic that was spoken in central Mesopotamia prior to the Arab invasion (for further reading, see author Christa Muller-Kessler). 3.) The existence of an indeterminate indefinite article fad فد (“a, some”) that precedes the noun it describes is highly unusual and unique to Mesopotamian Arabic (i.e. “fad rijjāl, fad imreyye” = “a man, a woman”). This likely developed from the use of the Classical word fardفرد meaning “one, single (thing)” in colloquial Medieval Baghdadi Arabic (although it would have been pronounced with guttural “r” as in French and Modern Hebrew according to the sound system of that dialect, which provides insight to the development of its modern pronunciation), which is itself probably a grammatical influence from Persian or Aramaic via substrate/superstrate or bilingualism. 4.) The use of the proclitic d(i)-to add a note of impatience to an imperative verb. The role of this marker is just to intensify the sense of imperative (duklū= “eat!”, digʕud = “sit!”, digūm= “get up!”). 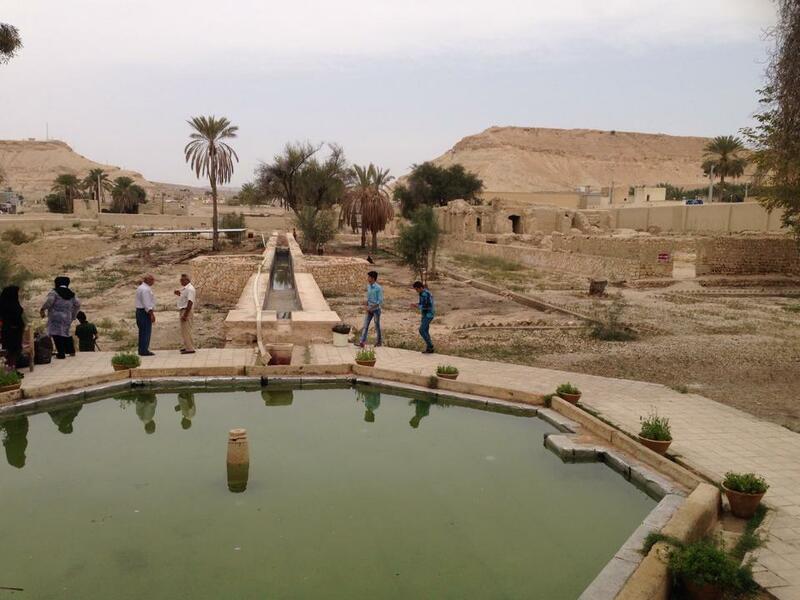 This was originally a feature of Medieval Baghdadi Arabic. 5.) The word gām as an indicator of the future or “to begin to do something”, which is based on the Aramaic word qa’em formerly employed in Mandaic and Talmudic Aramaic. 6.) The Classical feminine 2nd and 3rd person plural pronouns are retained and exist as intan and hinna and their suffix pronouns are -chan and -hin respectively. This marked retention of feminine plurals is highly unusual among Mashriqī sedentray dialects and can be attributed to the dialect’s Bedouin origin. 7.) Sometimes colloquially there is an omission of the future tense altogether (an influence from Persian). For example “I will come with you” can be expressed Āni ajī wiyyāk. 8.) Muslim Baghdadi Arabic has consonant harmony, which is essentially the ability of certain consonants (emphatic consonant, bilabials, and velars) to affect or “color” the quality of the vowel they occur directly next to. For example, gumar <— Classical قمر qamar (“moon”) ; buSal <— Classical بصل baSal (“onion”); sima <— Classical سماء samā‘ (“sky”). It is important to note that all lexical and syntactical features of Aramaic origin have reached Muslim Baghdadi Arabic through the medium of Medieval Baghdadi Arabic, rather than direct contact, because that would be inconsistent with the historical development of Muslim Baghdadi Arabic both chronologically and socio-culturally and would not align correctly with the “life span” of those Aramaic dialects. “Good Morning Arabs” interview with Iraqi poet, Shahad Shammari, speaking Muslim Baghdadi Arabic while the interviewer speaks Emirati. The non-Arabic phoneme “p” also exists in Muslim Baghdadi Arabic, but only in loanwords, and can often be used interchangeably with “b“.